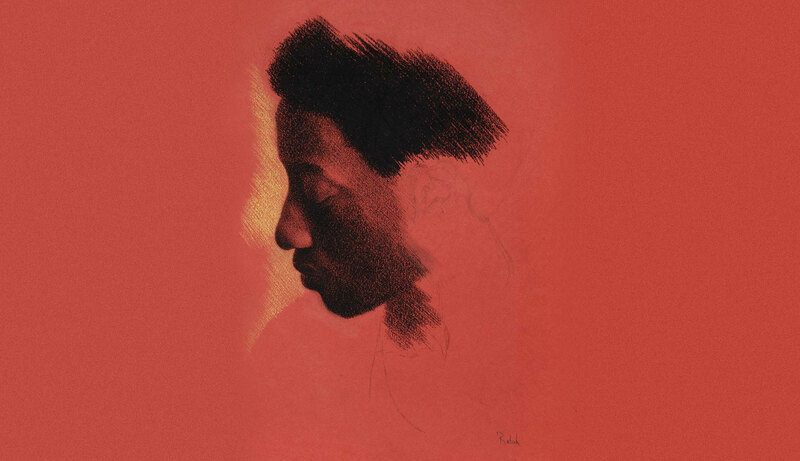 This self portrait head study on red paper has a mood of quiet reflection and dignity. It is one of a series of drawings the artist has produced in which he shows his head looking down, each from a different angle. They are studies in passive emotional states and have a spiritual quality to them also. The drawing is unfinished. He did not feel the need to work on it anymore, as he had already captured the feeling he wanted.